I’ve Reached Nirvana.. at Restoran Sri Nirwana Maju! Talk about reaching Nirvana.. at Sri Nirwana Maju! Why does vegetarian Indian taste so good? Heck some say it tastes better than the real deal. 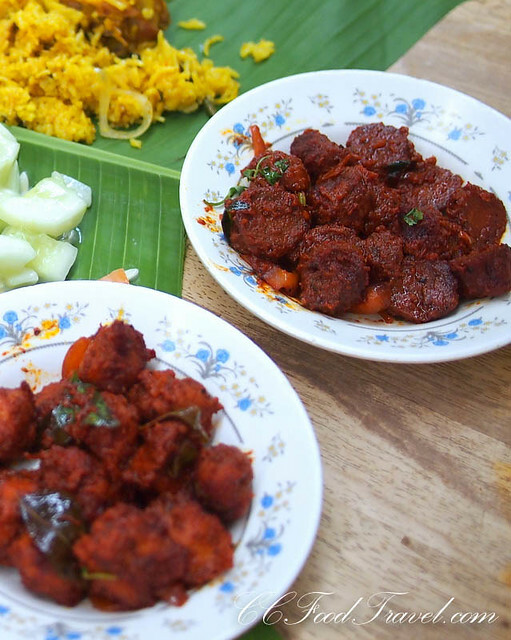 Vegetarian chicken and especially mutton has that lovely texture and flavour, minus the gaminess that many find unappealing in the real meat. You don’t feel so heavy after eating the mock version too, which is nice, especially in our hot and humid weather. Well good thing my friends visiting from the UK are not strictly vegetarian , but they do love a good Indian vegetarian feast. They also like biryani rice a lot, and asked if I had a place in mind. As we settled down to lunch at Nirwana Maju in Telawi, Bangsar, my guests exclaimed that we Malaysians are a lucky lot. In our multiracial community, we have exposure to all sorts of cuisine. Chinese, Indian, Malay.. you name it, we have it. Some of these ethnic cooking styles might be more bland or less spicy than others, but they found all our types of cuisine, equally interesting in their own way. I nodded in agreement, but I guess I’ve become pretty immuned to it, since I eat in KL everyday! I was glad then that I had brought them to Nirwana Maju, one of my favourite restaurants for Banana leaf, vegetarian as well as biryani rice. As it turns out, they loved the food. The Biryani rice was yellow and fluffy and of the long grain basmati sort. In it we could taste the lovely spices and flavours of nutmeg, cloves, cardamom, cinnamon, bay leaves, mace, coriander, mint leaves, ginger, onions, and garlic. 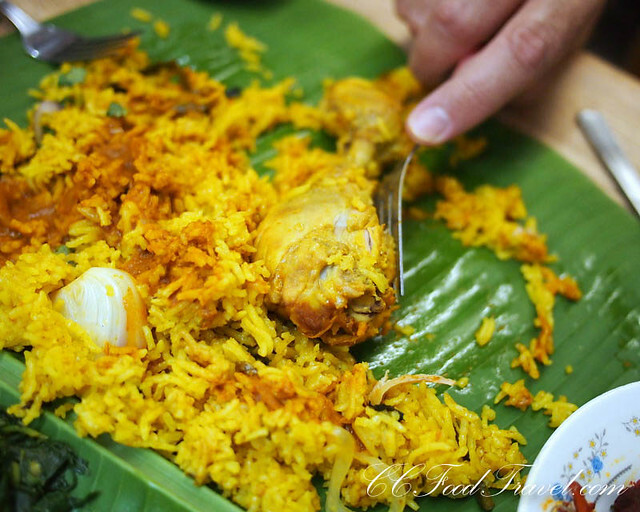 Since this was a non-vegetarian biryani, the main ingredient in the rice was a nice big, juicy chicken leg. The waiter brought round and served us dahl, chutney/raita, korma, curry, a sour dish of eggplant (brinjal) and salad. We had our biryani drenched in chicken curry and it really exaggerated the fantastic spicy flavours. Then came the garnishes of crunchy pickled spicy long beans, whole fresh chilies, whole radishes and an appetite tantalizer in the form of rasam (indian tamarind soup), that were there to provide a fresh contrast to the hot food. The papadam served here is rather small but light and crispy. For me, a properly made biryani, is where the final dish is dry or minimally moist, with the individual rice grains separate, as opposed to a wetter form, which I don’t particularly fancy. The Biryani at Nirwana is always usually nicely layered with the meat and rice, and then a final slow-steaming until fully done is what makes the flavors blend so nicely. Love it! And the vegetarian side dishes of chicken and mutton were super tasty as well. Who knew that bean curd could taste this awesome! 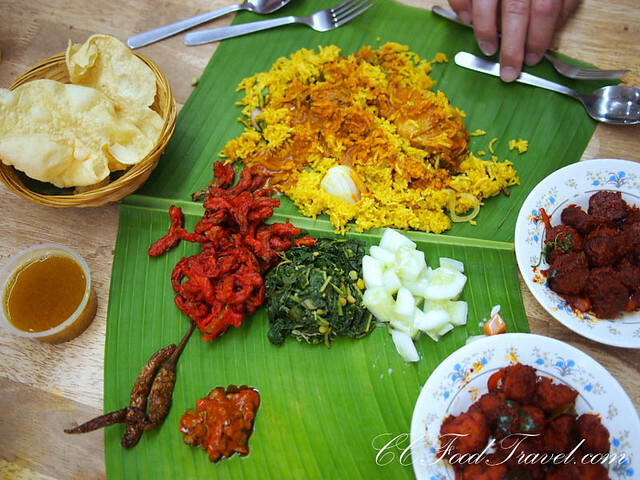 More banana leaf photos on our FB page! 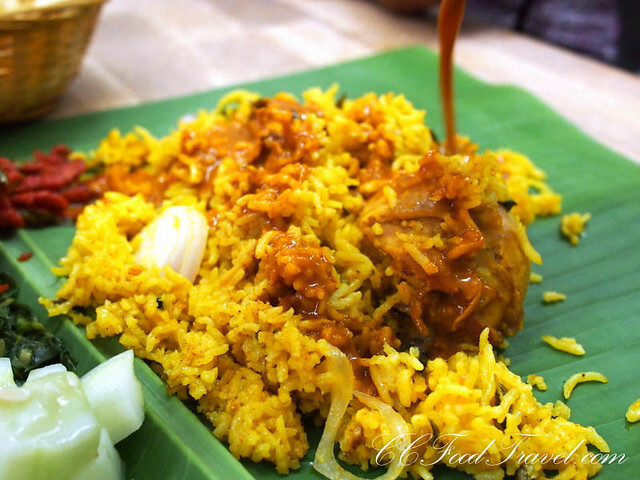 You now make me crave banana leaf rice. Maybe I should grab it for dinner… a break from all the CNY food. 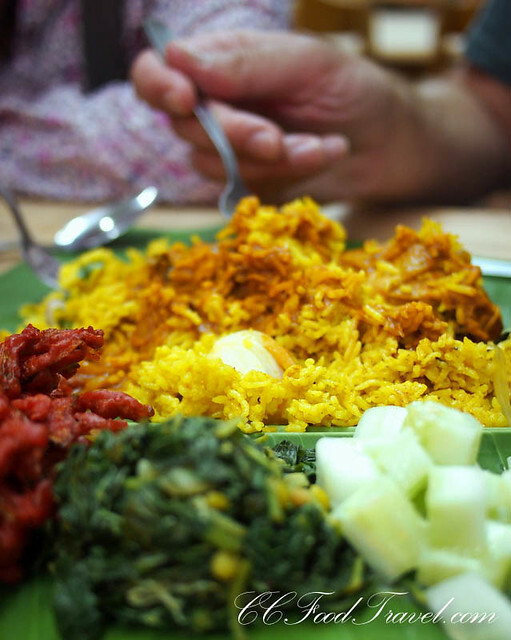 I need some Banana Leaf Rice soon…OD’ed on Chinese food already! VERY RUDE BROTHER IN LAW AND SISTER OWNERS RUN THIS SHOP! AREA IS CRAMPED UP WITH TABLES TO MAXIMISE SITTING? PLAIN WATER IS CHARGED,OVERPRICED FOR SIMPLE PLAIN TASTING INDIAN FOODS! FREQUENTLY PRICE INCREASES!INDIA INDIAN CASHIER RELIEVES AT THE CASHIER COUNTER WHEN OWNERS ARE BUSY! HE DROOLS OVER PRETTY BRAHMIN GIRLS SITTING AND FREQUENTLY GOES AND ATTENDS TO THEM UNNECESSARILY! IN RECENT YEARS THEY WERE FINED FOR PREPARING FOODS AT THE BACKLANES ! 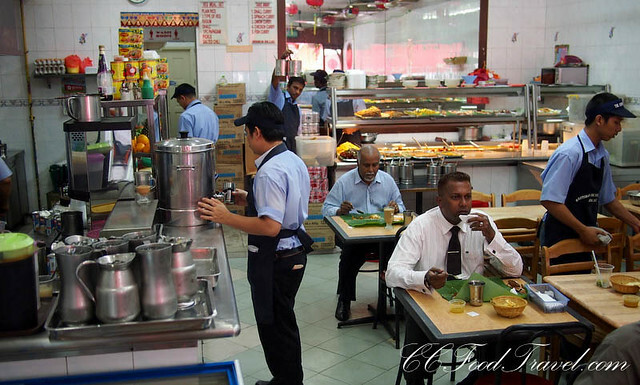 ALTERNATIVELY, LORONG MAAROF HAS BETTER SHOPS FOR INDIAN FOODS. GOOD CHOICE,BETTER TASTE AND GOOD RESPECT FOR PATRONS! Really? wow.. sounds terrible and we are happy to say that since eating here, back when the place opened, it has never happened to us. I totally agree with all the blogs that Nirvana Maju Food in the first place is too plain tasting food and nothing fascinating about it. Food is something one has to enjoy.Lots of hidden price increase and owners are too rude and rather cold. They just want to see the place filled up! The satisfaction of the customers is of least concern! Moreover when one ask for water, the waiters are told strictly by the bosses not to serve any unless asked for and moreover told them to tell customers they will be charged for it! It’s totally a ridiculous restaurant one can come across! Please go to another better restaurant to preserve your sanity! Really? what a shocker. I am glad to say I have never had this sort of experience! Nirvana’s is one of the worse banana leaf rice I’ve had in the KL/PJ area. Not only are the portions small and pricey, they charge you for extra papadum. Their so called special fried bitter gourd is no longer all that special. One of my fav places is Devi’s in Bangsar. It’s so much more worth the money and they are very generous with their portions. The crab curry + fish curry makes an excellent combo. Really, I always had good food there. Shame! Really? Shame.. coz I’ve always had good food at Nirwana. Not just me, my guests LOVE it too. Devi’s? No thanks.. don’t care for it.. sorry!